The shopping in Piraeus is really quite reasonable, with more than enough choice for most visitors. However, if you find that your thirst for shopping just isn't being quenched in Piraeus, then the neighbouring Greek capital of Athens will be sure to help you out. Within the city of Piraeus itself you will discover a really rather good local flea market, which more that rivals the best market shopping in Athens. This particular flea market offers endless stalls selling everything from cheap souvenirs and junk goods, to quality jewellery and antiques. 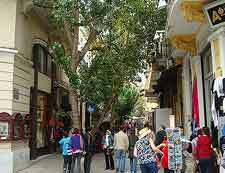 Take you time and stroll around to both soak up the typically Greek atmosphere and find the bargains. 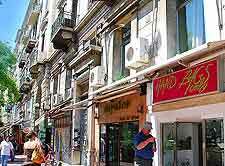 The main shopping district in Piraeus is based around the centrally located Akti Poseidonos, Antistaseos Street and also Gounary Street, with this area forming a triangular shape. At soon as you reach Gounary Street you will find the air filled with the aroma of exotic spices and herbs, which are sold at shops all along this stretch. Close by and around both King George II Avenue and Korai Square are plenty of further shopping opportunities in this part of Piraeus. For the best fashion boutiques, you will need to check out the backstreets, which are brimming with colourful local stores, particularly around Pasalimani and the rather chic area of Sotiros Dios. 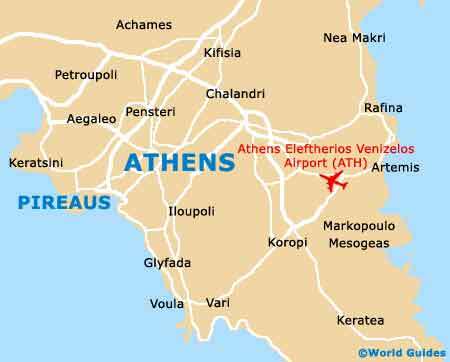 More information about Athens Shopping.